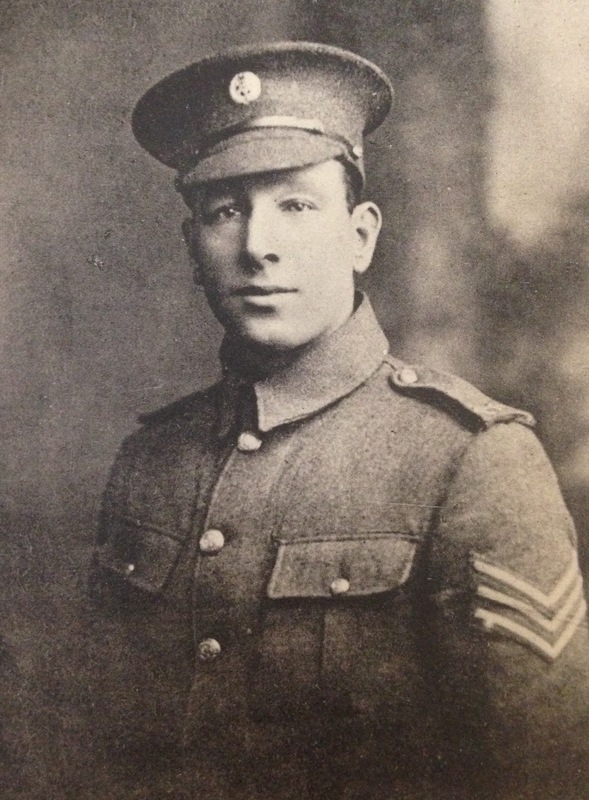 Sergeant Albert Downing was born in Napier on July 12, 1886. He was educated at the Marist Brothers’ School there, which he left in 1904, and was employed as a clerk successively by the Excelsior Dairy Co., Ltd., Barry Bros., Ltd., and Ellison and Duncan, Ltd., merchants. He enlisted on February 2, 1915, and left New Zealand with the Fifth Reinforcements (Wellington Battalion) on June 13, 1915. He was killed in the landing at Suvla Bay on August 8, 1915, aged 29. Downing, who was the eldest son of Mr. J. Downing, of Napier, was a fine specimen of New Zealand manhood, being 6 feet in height, and of splendid physique. He was one of Nature’s gentlemen, and was remarkably popular with all who knew him. “Many writers- myself among the number,” writes Mr. D. M’Kenzie, “have argued that there are many New Zealand representative players outside the four centres- Auckland, Wellington, Christchurch, and Dunedin- but who, through lack of opportunity, are not given a fair chance of selection when International teams are being gathered together. Yielding to persuasion from the country unions, the New Zealand Rugby Union decided in 1911 and 1912 to send two teams representative of the country unions on tour through the Dominion to play against the bigger unions. It was because of this that Downing got his chance, for he showed such outstanding form as a forward, that all the critics agreed that he was certain of a place when next a Dominion team was selected; and it came to pass. Downing was widely known in the New Zealand Rugby world, and he was one of the best-natured players who have ever donned a jersey; always playing the game in the best acceptation of the term. He was ‘on the ball’ from start to finish, and took the hardest knocks with a smile. He disdained to ‘get one back’ on a vicious opponent; rather would he pause to help a fallen ‘enemy’. “Doolan,” as he was affectionately and familiarly known, was deeply mourned by all his old Rugby friends. About the Author – Born in 1872, EHD Sewell played for Harlequins and Blackheath FC and was also a first-class cricketer. Later he became a journalist and prolific writer on both sports. This extract is from ‘Rugby Football International’s Roll of Honour’ that was first published in 1919 to commemorate those international rugby players who lost their lives in the Great War. This entry was posted in International Players, Lest We Forget, New Zealand. Bookmark the permalink. Albert Joseph Downing “Doolan” died in Chunuk Bair, I have a picture of him with a group of men at Table Top the day before he was killed. I saw his picture at Te Papa in the Gallipoli segment, and that’s where they said that was taken. If you email me, I’ll send the picture to you.